I am working on a few designs for the latest competition at Minted: Children’s Stationary. You can read about the competition (and later see my submissions) here: http://www.minted.com/contest. The designs can be for all ages, baby to 14….and for boys or girls. I am working on getting the best color scheme for the below design before I size it correctly and get the best composition. What do you think? Which color scheme is best? Love your work – I like C the best! 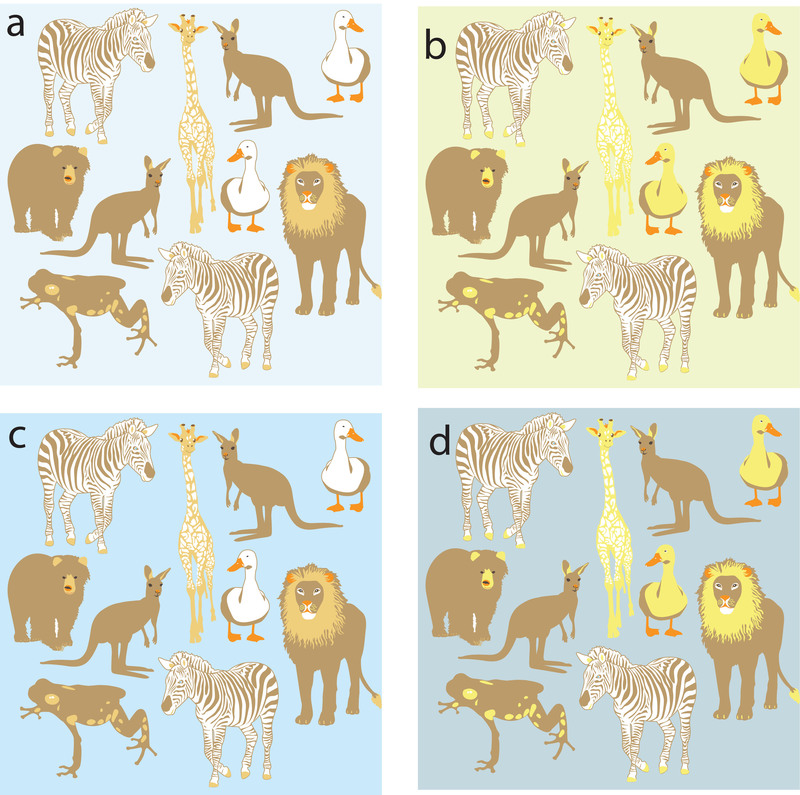 (Or B with the animals in the brown and white combination) Good luck.